Cold and snowy outside today, so no sealing of the assault squad models has occurred as yet. 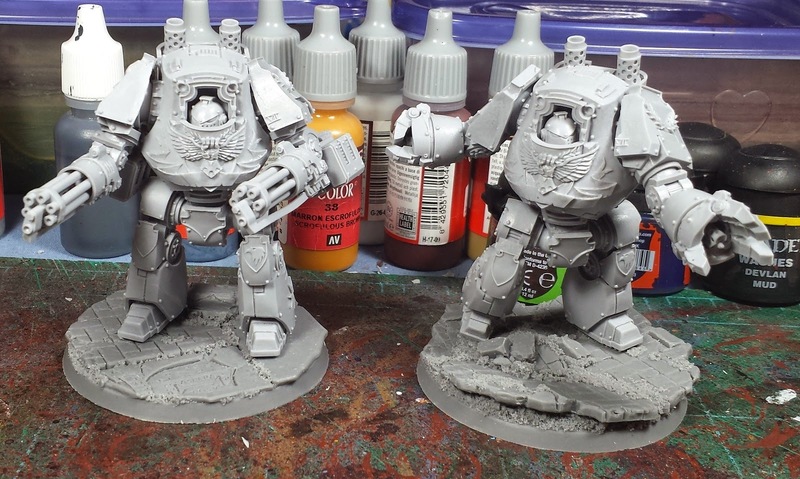 Nevertheless, I pressed on with the next set of models intended for the painting block and assembled the two Contemptor dreads! 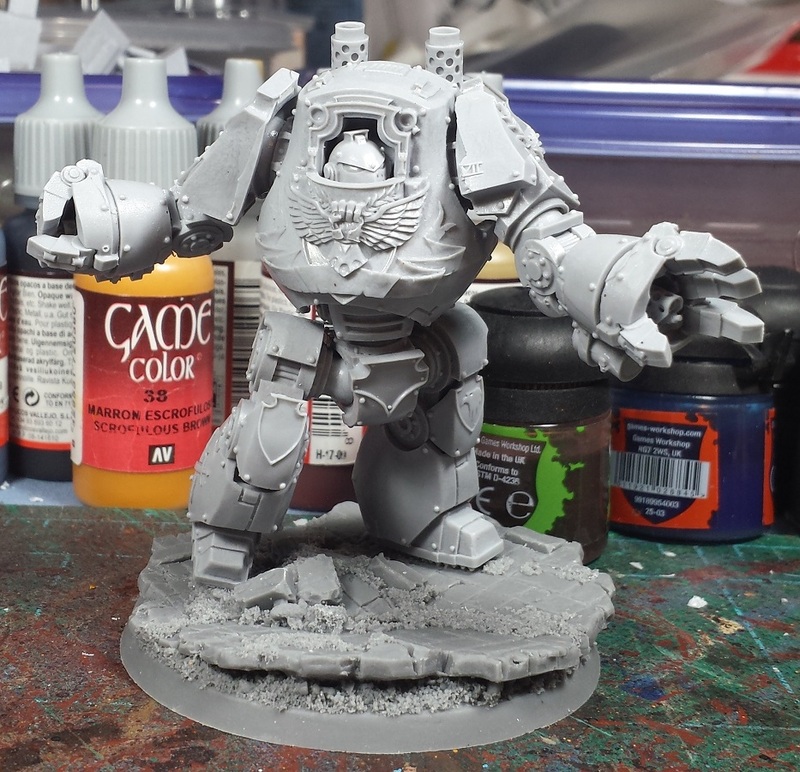 I am a huge fan of the contemptor chassis, the posing options are nearly limitless! 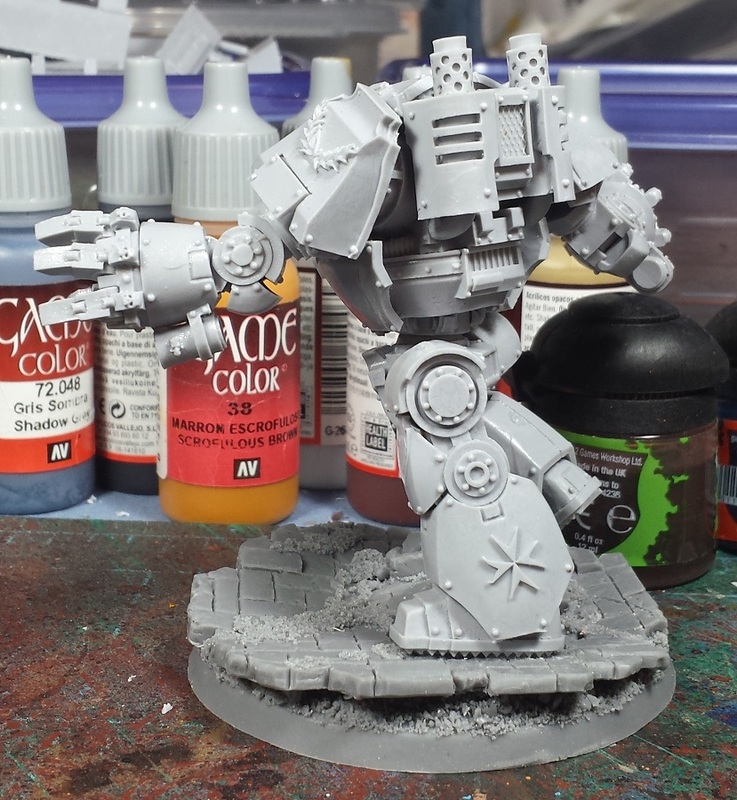 I'd planned on one shooty and one melee dread, and figured I'd try to reinforce their duties on the tabletop with appropriate stances. 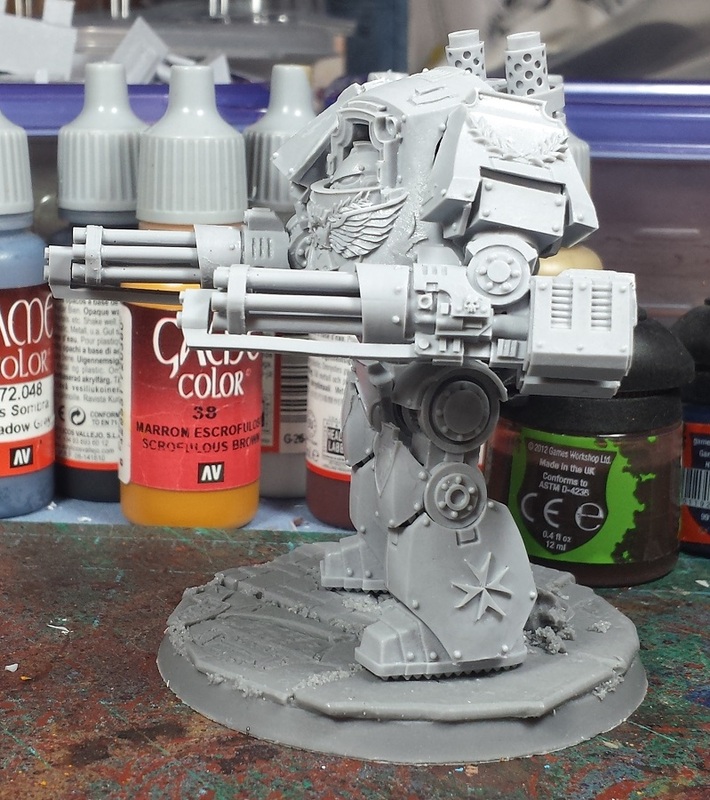 The first of the two is armed with a pair of Kheres assault cannons, and I wanted to go with a somewhat static pose as though it was bracing to fire on a target. 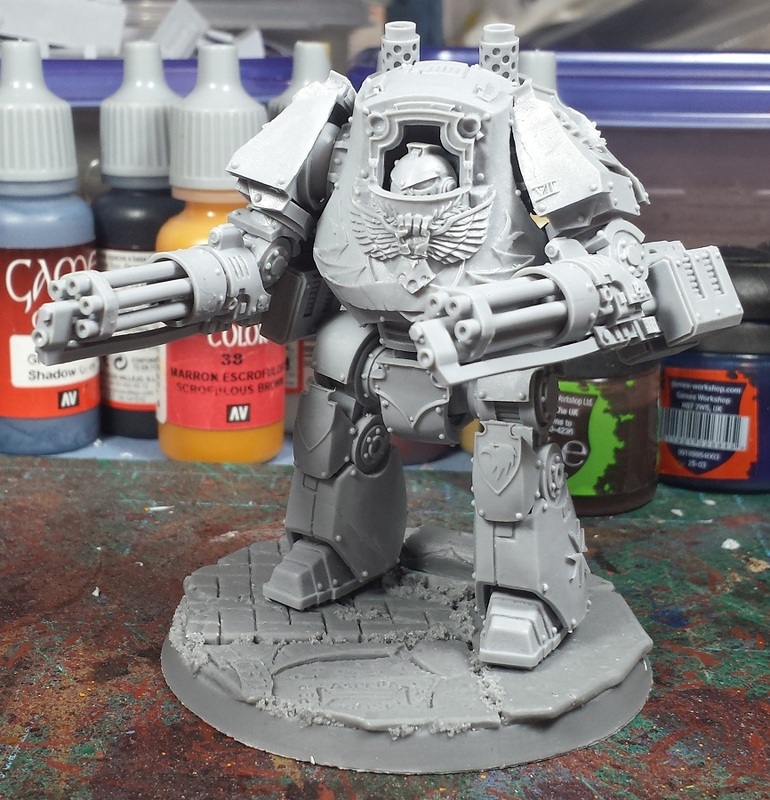 Holy cow are the Kheres weapons ever fiddly to assemble! 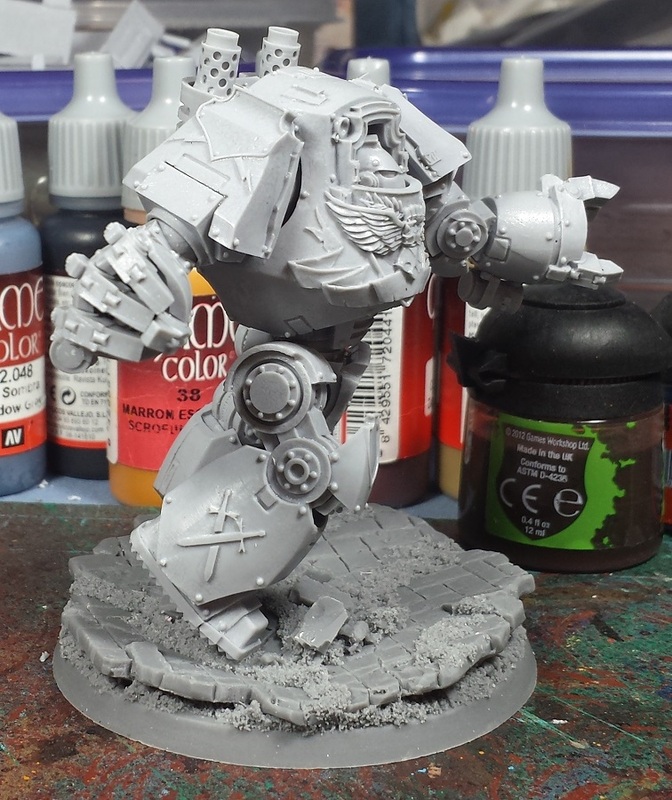 In contrast, the melee dread was given a running pose, as though it's roasting someone with the flamer, just before swinging the other fist around for a crushing blow! No more hobby time until the weekend however - Concert tomorrow night, going to see the man in the leopard print tux, Richard Cheese. Should be a hoot! Ten pins in my Kheres; I feel your pain. 😍 I loves me those contemptors. Soo cool. Really like the closed fist on the power fist dread. He is just about to smash someones face in! Hard to beat the look of a brace of Contemptors. Really like the posing you have gone for, suits them both perfectly. That closed fist is amazing. Great pose, very dynamic. So excited! Your army build is basically the same I'm going to be looking at! Will you make some sort of cool flame effect for display purposes? Would look super cool methinks. @davetaylor: Hah! 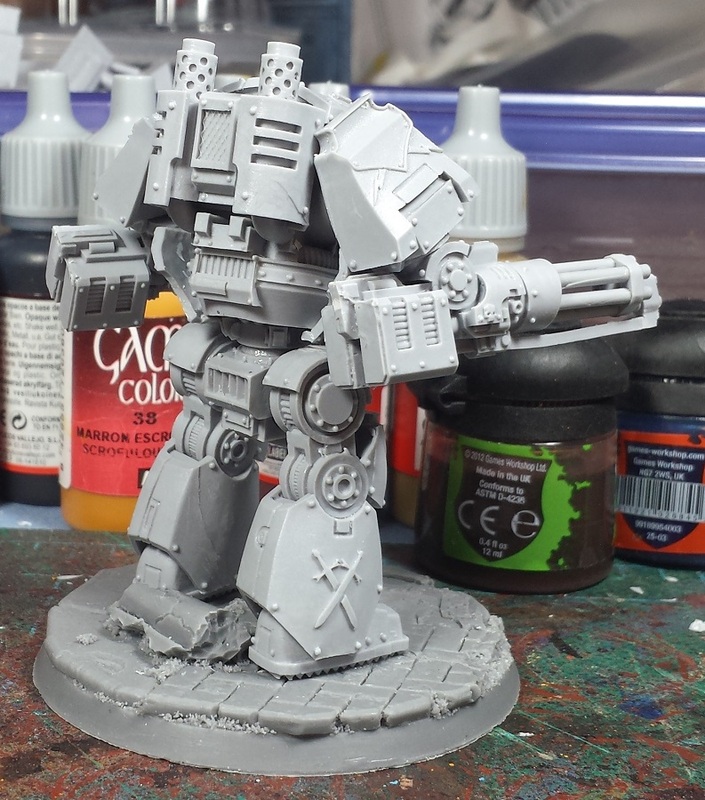 I'm definitely planning on adding a second dual-kheres dread, they're just too cool not to! @CJ Kilbride: Totally - Looks great, but dang! @Dai: That's not a bad idea, man!